Felicia Huppert – Towards an ideal RCT on the benefits of mindfulness: theory versus reality in a healthcare organisation. Elizabeth King – Mindful Boards: A theoretically guided approach to attuning the attention, awareness and acceptance of directors and the Boards they serve. Samuel Wong, MD, PhD, is a Professor of Family Medicine and head of the Division of Family Medicine and Primary Healthcare at the Chinese University of Hong Kong (HK). 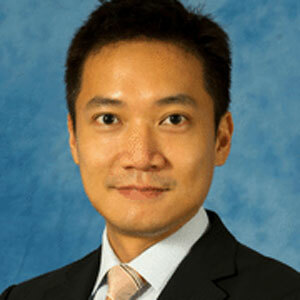 He works as Associate Director in Undergraduate Education of the School of Public Health and Primary Care since 2009. His research interests include evaluating and developing mindfulness based interventions, such as mindfulness for children and adolescents with ADHD, and developing and evaluating other mental health interventions for a variety of populations in primary care. Mindfulness-based interventions have been applied in populations of diverse age groups and various populations including pregnant women, pre-school children, school aged children, adolescents, young adults, adult populations (e.g. working men, menopausal women), older adults and people approaching death. In this presentation, review and ongoing research on mindfulness interventions in improving health and well-being, as well as quality of life will be described using the life course perspective. Current and further plans on the evaluation of mindfulness interventions such as MYmind for children and adolescents with both externalizing and internalizing problems would also be presented. Martine Batchelor studied Zen Buddhism as a Buddhist nun between 1975 and 1985, primarily in South Korea. After returning to Europe in 1985 with her husband Stephen, Martine has been leading retreats, worked as a lecturer and spiritual counselor, and has written several books on, for example, Zen meditation from the female perspective. Her most recent book “Meditation for Life” (2016) is a vividly photographed book that encourages us to bring creative awareness to every aspect of our lives and reveals how every moment can be an opportunity to find joy. During this talk I would like to explore mindfulness of the feeling tones, which is the second foundation of the practice of mindfulness. First I will try to present the different aspects of mindfulness. Secondly I will try to define feeling tones and thirdly how to be mindful of them. The Pali term vedana refers to the affective tone of experience. When we come into contact through one of our six senses with the environment, we experience a pleasant, unpleasant or neither pleasant nor unpleasant feeling tone. It is important to see that feeling tones are constructed, they are not a given, they do not reside in the object we come in contact with. It is vital to be aware of feeling tones as they arise extremely fast and have a profound impact on our behavior. I would like to propose that developing a caring and careful mindfulness of feeling tones could be one of the keys to well-being. Mind and Life Europe is well underway with an exciting new initiative establishing a “Community on Contemplative Education” (CCE) which is generating a good deal of support, interest, new knowledge and clarity on what needs to be done. It builds on the considerable work that Mind & Life Institute and its partners have conducted in the field at the intersection of education and contemplative science over the last decades. This lunchtime meeting will share with those present a brief report of our progress so far, invite comments and wider discussion of what direction and actions is most helpful in reaching out and supporting work in this area across Europe, and invite anyone interested to sign up to hear of further progress, or indeed join in the initiative. You will hear of the considerable progress of a wide-reaching investigation, including an on line survey and skype interviews, which has helped us generate support and interest, and uncover and start to map the wealth of interesting and innovative teaching, research and concept development that is taking place across Europe in schools and universities. Responses have helped us to become clearer about current thinking across Europe on appropriate language/terminologies, theories, concepts, barriers and facilitators to developing contemplative and mindfulness based approaches in education. You will hear of our plans to hold a small first meeting of experts in Rotterdam in September to move this along further, and our efforts to generate resources for further meetings and other actions, which aim to build supportive platforms such as local groups and internet databases and networks, and to uncover and disseminate existing work, and create carefully targeted new work – around useful resources, blueprints and manuals, teacher education, pilot projects, case studies and robust evaluated research. We are working in collaborative ways that do not compete with existing work, but join people together, build on strengths and are tuned to the culturally and educationally diverse nature of Europe. Mark Williams, PhD, is emeritus Professor of Clinical Psychology and Founding Director and Honorary Senior Research Fellow at the University of Oxford Department of Psychiatry (UK) where he co-developed MBCT. He was Director of the Oxford Mindfulness Centre until his retirement in 2013. He is (co)-author of several books on mindfulness, including the pioneering work “mindfulness-based cognitive therapy for depression: a new approach to preventing relapse” (2002, 2012). His more recent book “Mindfulness and the Transformation of Despair: Working with People at Risk of Suicide” (2015) provides clinicians and mindfulness teachers with a comprehensive framework for understanding suicidality and its underlying vulnerabilities. In all our search for evidence of efficacy of, and mechanisms underlying mindfulness programmes, it is easy to lose sight of the paradoxes inherent in this work. How can it be that bringing awareness to potentially overwhelming emotional and physical difficulties could ever be helpful? Yet taking such a risk seems to be helpful for many people, and is transformative for some. Mindfulness walks a tightrope: Each aspect of practice has the potential to change our relationship to the thoughts, sensations, feelings and impulses that arise, or can lapse into ever-so-subtle cajoling of ourselves and others. How can we keep our balance, when so many individuals, groups and even politicians are looking to the field for help with seemingly intractable problems? On the one side we see challenges: these including over-enthusiasm, the risk of harm, and the danger of either over-loading mindfulness programmes or alternatively, fractionating into rival sub-fields. On the other side, we see encouraging signs: new clinical trials that extend the scope of the evidence; new perspectives both from recent psychological science and historical exploration of Greek practical philosophy; wide acknowledgement of ways in which mindfulness programmes need to build on the ‘stem cell’ of MBSR to meet the distinct needs of people who suffer from a range of emotional and physical problems for which older programs were not designed. The most encouragement comes from the continuing dialogue within the community of conscientious practitioners, teachers and scientists, and the acknowledgement of the multiple talents that need to coalesce if the field is to move forward. Trish Bartleyis extensively involved in training mindfulness-based teachers to understand and support the potential of the group to benefit their participants. She has taught mindfulness to people with cancer since 2001, and developed the MBCT protocol for this group, supported by John Teasdale and Mark Williams. She teaches MBCT in groups and 1to1 to those with advanced illness. Trish is a member of the core training team at CMRP. She offers retreats and mindfulness-based training workshops in the UK, Europe and South Africa. Her latest book “Mindfulness: A Kindly Approach to Being with Cancer” (2016) offers people with cancer a means to bring mindfulness and kindliness into their lives, to help them cope with the challenge of a life-threatening illness. In this brief presentation, Trish will share some ideas and reflections as to what in her experience are the salient issues facing people with cancer – and what mindfulness can offer. 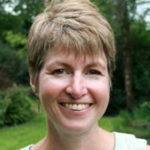 She will draw on the experiences of some of those she has worked with – to headline the key tools and approaches within MBCT for Cancer – a programme she has developed, taught and written about: Mindfulness-Based Cognitive Therapy for Cancer (Bartley, 2012) and Mindfulness: A Kindly Approach for Being with Cancer (Bartley, 2017). The value of micro practices in everyday life (and specific contexts, such as follow up clinics or managing waiting). If time allows, she will share some of the micro practices that she uses with hospice staff, people in crisis, and those managing terminal illness. Ajahn Amarois a Theravada Buddhist monk and teacher, and abbot of the Amaravati Buddhist Monastery in Hemel Hempstead (UK). The centre, in practice as much for ordinary people as for monastics, is inspired by the Thai forest tradition and the teachings of the late Ajahn Chah. 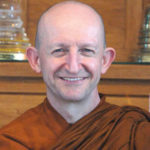 Before the spiritual search that led him to Thailand where he was ordained as bhikkhu in 1979, Ajahn Amaro received a BSc. In Psychology and Physiology from the University of London. He authored numerous books addressing various aspects of Buddhism, his latest publication “For The Love of The World” (2014) attempts to address some of the issues arising from the ecological tensions in the world today. ‘What does ‘spiritual enlightenment’ mean, particularly in the context of modern day western society? Are there gradations of such enlightenment? How could this concept from Buddhist Psychology inform mindfulness teachers, practitioners and researchers? This talk and discussion session will explore the classical Buddhist descriptions of the levels of enlightenment and their relevance in terms of the establishment of a stable and profound psychological well-being, independent of life circumstances. It will explore the levels of mental maturation from the Buddhist perspective and compare them to such western psychological concepts as Maslow’s Hierarchy of Needs; particular focus being given to practical means of bringing about such maturation and self-actualisation. Willoughby Britton, PhD, is a clinical psychologist and neuroscientist. She is Assistant Professor of Psychiatry and Human Behavior and Assistant Professor of Behavioral and Social Sciences at Brown University (USA) where she directs the Clinical and Affective Neurosciences Lab (CLANlab). Her research focuses on the psychophysiological and neurocognitive effects of cognitive training and mindfulness-based interventions (MBIs) for mood and anxiety disorders. As a clinician, she has taught MBSR and MBCT to both clinical and non-clinical populations. She has a specific interest in safety of MBIs and meditation practice. 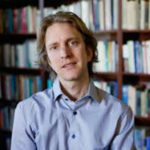 Jared Lindahl, PhD, is Visiting Assistant Professor in the Department of Religious Studies at Brown University (USA) and is director of the humanities research track in the Clinical and Affective Neuroscience Lab. Since 2010 he has been involved in the Varieties of Contemplative Experience project working closely with Willoughby Britton. His ongoing research integrates historical and textual studies of contemplative traditions with phenomenological and neurobiological approaches. The workshop is consist of two parts: research and practice. Part 1 reviews the findings from the recent Varieties of Contemplative Experience project, the most comprehensive study to date on meditation-related challenges. Part 1 will also review adverse effects data from mindfulness-based interventions. The training includes detailed descriptions of meditation-related challenges, including subject quotes, how often they occur, how long they last, and potential risk factors. Part 2 focuses more on concrete steps to ensure safety for your program, and includes four modules: informed consent, screening, monitoring, and management. This training is accompanied by access to the Meditation Safety Toolbox, which includes official curricula and implementation guidelines, informed consent, screening instruments from the UMASS, Oxford and Bangor Centers for Mindfulness, as well as a folder of research and other resources. Informed Consent:This module reviews the informed consent process, including advertising brochures, and other statement of benefits vs limitations and risks. Screening: The screening module provides training in how to screen participants who are interested in taking an MBI program, and includes review of inclusion/exclusion criteria and decision trees for participation, and screening instruments. Monitoring: The monitoring module teaches facilitators how to adequately monitor or track potential adverse reactions in their mindfulness clients, beyond “passive monitoring”. This module focuses on the meditation-related difficulties that are most likely to occur with MBI interventions, such as anxiety/panic, traumatic re-experiencing and dissociation. Management: The management module teaches facilitators how to manage difficulties once they arise, as well as modify their instructions to minimize the likelihood of adverse reactions. This module draws heavily from trauma-informed therapies. Specific exercises and practices are provided, as well as other resources for further training. Learn person-centered and culturally-informed methods of management and minimization of risk. Nikolett Eisenbeck – Efficacy of the different components of the focused breathing mindfulness exercise in cognitive performance. An experimental analysis. 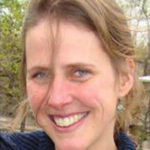 Zaffie Cox – Do different forms of short-intervention meditation effect state-mindfulness differently? Diversity in the mindfulness community? Silke Rupprecht – Mindfulness in the workplace: What do we really know and how can we advance the field? Wendy Kersemaekers – A Workplace Mindfulness Intervention May Be Associated with Improved Psychological Well-Being and Productivity. A Preliminary Field Study in a Company Setting. Linda Kantor– On productivity, power and multiple perspectives: what do participants say about mindfulness training for organizations? Linda Cillessen – Long-term effects, predictors, moderators and mechanisms of group face-to-face and individual internet-based Mindfulness Based Cognitive Therapy for distressed cancer patients. Julia Wahl – Development of a Compassion for Cancer curriculum for cancer patients in stages I-III and cancer survivors. Origins, rationale and initial observations. 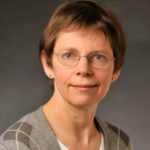 Ruth Baer, PhD, is Professor of Clinical Psychology at the University of Kentucky in Lexington (USA) where she teaches and supervises several mindfulness-based interventions including acceptance and commitment therapy (ACT), dialectical behavior therapy (DBT), mindfulness-based cognitive therapy (MBCT), and mindfulness-based stress reduction (MBSR). She is one of the leading authors in the field of mindfulness, researching its conceptualization, effectiveness, working mechanisms and relation to other psychological variables. Her book “Practising Happiness: How Mindfulness Can Free You From Psychological Traps and Help You Build the Life You Want” (2014) is the first self-help book to integrate the wisdom, skills and practices available from the four leading evidence-based mindfulness treatments (MBSR, MBCT, DBT and ACT). From an ethical standpoint, are contemporary MBPs too Buddhist, or not Buddhist enough, and what are the implications of how this question is answered? In settings where explicit teaching of a particular ethical perspective may be inappropriate, what is the role of personal values, and can mindfulness cultivate awareness of values and values-consistent behavior? What is the role of professional ethics in the training of mindfulness teachers and in how MBPs are delivered? Can mindfulness practice be harmful? If so, what are the risks, and how can we protect participants against risks? Given the prevalence of positive and negative hype about mindfulness in the contemporary media, how can we communicate ethically about mindfulness, the effects of mindfulness practice, and its potential limits and risks? Rebecca Crane, PhD, is director of the Centre for Mindfulness Research & Practice at Bangor University (UK), and has been a leading role in its development since it was founded in 2001. She has a background as occupational therapist and integrative counselor. 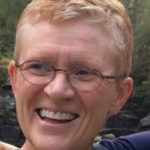 Her research focuses on the delivery of evidence-based mindfulness-based interventions in different settings, with a particular focus on the integrity of the teaching and therapist competency. She teaches and trains internationally in both MBSR and MBCT. She is the author of “Mindfulness Based Cognitive Therapy” (2008, 2017) which provides a concise, straightforward overview of MBCT and is essential reading for professionals and trainees in the field. 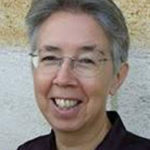 Bethan Robertshas a background in Health Economics and Women’s Studies, with a focus on Equality and Diversity. She is an experienced Mental Health First Aid instructor and has worked for many years in the field of mental health. She has been a mindfulness teacher and trainer for the CRMP at Bangor University since 2010, teaching mindfulness programs (MBSR) to workplaces, community groups and general public groups as well as a one-to-one basis with individuals with mental health issues. Her research focuses on mindfulness and social inequalities. Social justice is one of the defining issues of the time we live in. Despite enormous progress across the world in addressing poverty, there remain deep divides in terms of who gets access to education, health and social opportunities. These themes are prevalent in the context of mindfulness teaching also. The practice of mindfulness brings the issues of common humanity to the fore in a particular way. As we engage with the practice we come into deeper connection with personal and collective suffering; we become more willing to allow a greater breadth and depth of the reality of the human situation to touch and affect us; we recognise both the universality of human distress, and the particular societal patterns that perpetuate distress for certain groups; and we build a more honest way of compassionately relating to these experiences. Compassion has two phases – a phase of feeling and connecting with the suffering of self or other, and a phase of actively engaging and responding skilfully. Both are important – by opening to other peoples experience of exclusion, discrimination and stigma so we can feel the importance of why we should act. The first phase requires us to extend our circle of concern to people to whom we might habitually not give attention; and to look deeply into our own conditioning and inherited privileges. The second phase empowers us to take compassionate action now – this might include a spectrum of actions from subtle shifts in how we orientate to our participants, to building in systemic structural changes which enable greater take up from underrepresented groups. There is increasing awareness and action being taken in the mindfulness field in connection with issues of accessibility. We will give space to reflecting on how we can continue to engage with this theme in the midst of the fullness of the day to day demands that our mindfulness work presents. This workshop aims to be a part of a wider process of resourcing ourselves to connect more deeply with social justice, and to reflect on practical actions that each of us can take within our own research and teaching contexts. Nicholas Schwalbe – From Nada Brahma to Nada Yoga : the Yoga of Sound, or how to transform a metaphysics of sound into a way of life. Gabrielle Bodzin – Using sound to heal: the neuroscience of sound perception, mysticism, and healing. Geoffrey Haddock – What does it mean to be mindful? Colin Foad – Investigating relationships between mindfulness and socio-political constructs. Alice Tickell – Experiences of tapering antidepressants in the context of Mindfulness-Based Cognitive Therapy: Findings from the PREVENT trial. Carolien Wentink – An Exploration of the Facilitators and Barriers of Discontinuation of Antidepressant Medication after Mindfulness-Based Cognitive Therapy in Patients with Recurrent Depression. Jon Kabat-Zinn, PhD, is founding Executive Director of the Center for Mindfulness in Medicine, Health Care, and Society at the University of Massachusetts Medical School (USA). He is also the founding director of its renowned Stress Reduction Clinic and emeritus Professor of Medicine at the University of Massachusetts Medical School. 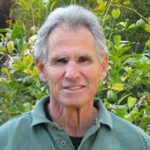 Dr. Kabat-Zinn received his Ph.D. in molecular biology from MIT in 1971. He has been teaching mindfulness and Mindfulness-Based Stress Reduction (MBSR) worldwide for decades and has written numerous articles and bestselling books on mindfulness and its application. These include his groundbreaking “Full Catastrophe Living: How to Cope with Stress, Pain and Illness Using Mindfulness Meditation” (1990, 1996, 2013) and “Wherever You Go, There You Are” (1994, 2004). 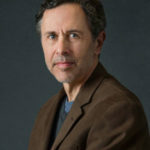 His research interests include mind-body interactions and clinical applications of mindfulness and its effects on the brain, the immune system, emotional expression, and healing in various somatic conditions, as well as the application of MBSR for prison inmates and staff; in multicultural settings; and on stress in various corporate settings and work environments. His new book “Falling Awake: How to Practice Mindfulness in Everyday Life” is due in August 2018. The explosion of interest in mindfulness world-wise carries both endless opportunites and also major challenges for clinicians, scientists, educators, and others. In this talk and conversation, Jon will explore the challenges of living the practice and embodying openhearted wakefulness in our lives at this moment on the planet. He will emphasize the universal dharma roots of mindfulness and what they call for in terms of our own individual cultivation of mindfulness as a practice and as a way of being, and how it interfaces with our work in the world as professionals—in other words, what our responsibilities are—if its healing and transformative dimensions are not to be lost or hopelessly diluted as mindfulness moves more and more into the mainstream of society. 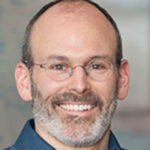 Ronald Epstein, MD, PhD, is Professor of Family Medicine, Psychiatry and Oncology at the University of Rochester School of Medicine and Dentistry (USA), where he also directs the Center for Communication and Disparities Research. He co-directs Mindful Practice programs and the Deans Teaching Fellowship program. Through his work and development of innovative educational programs, he has been passionately devoted to promoting physician self-awareness, mindfulness and effective communication in clinical practice. His latest book “Attending: Medicine, Mindfulness, and Humanity” (2017) is a crucial, timely book that shows us how we can restore humanity to medicine, guides us toward a better overall quality of care, and reminds us of what matters most. In this keynote, I will outline how mindfulness can be cultivated in work settings to help people flourish in their professional lives and act as a healing influence on those with whom they interact – colleagues, patients, clients, partners. Judson Brewer, MD, PhD, is a psychiatrist and internationally known expert in the field of mindfulness for addiction. He is Director of Research at the Center for Mindfulness and Associate Professor in Medicine and Psychiatry at UMass Medical School (USA). 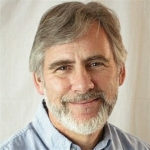 He has developed and tested novel mindfulness programs for habit change, including in-person and app-based treatments. Other research interests include the underlying neural mechanisms of mindfulness meditation. In “The Craving Mind: From Cigarettes to Smartphones to Love – Why We Get Hooked and How We Can Break Bad Habits” (2017) he describes the mechanisms of habit and addiction formation, then explains how the practice of mindfulness can interrupt these habits. We are all vulnerable to craving. Whether it’s a compulsion to constantly check social media, binge eat, smoke, excessively drink, or any other behavior, we may find ourselves uncontrollably repeating. Why are bad habits so hard to overcome? Can we learn how our minds work, and even tap into this very process to find a key to conquer the cravings we know are unhealthy for us and open our natural capacities for awareness and kindness? In this talk, using examples from my lab’s clinical studies of in-person and app-based mindfulness training as well as data from neuroimaging paradigms, I will describe why habits and addictions are formed, and how awareness helps us tap into these very behavioral and brain mechanisms that encourage habitual behaviors in order to step out of them. Martine Batchelorstudied Zen Buddhism as a Buddhist nun between 1975 and 1985, primarily in South Korea. After returning to Europe in 1985 with her husband Stephen, Martine has been leading retreats, worked as a lecturer and spiritual counselor, and has written several books on, for example, Zen meditation from the female perspective. Her most recent book “Meditation for Life” (2016) is a vividly photographed book that encourages us to bring creative awareness to every aspect of our lives and reveals how every moment can be an opportunity to find joy. The Pali term vedana refers to the affective tone of experience. During this workshop I would like to explore mindfulness of the feeling tones, which is the second foundation of the practice of mindfulness. When we come into contact through one of our six senses with the environment, we experience a pleasant, unpleasant or neither pleasant nor unpleasant feeling tone. It is important to see that feeling tones are constructed, they are not a given, they do not reside in the object we come in contact with. It is vital to be aware of feeling tones as they arise extremely fast and have a profound impact on our behavior. I would like to propose that developing a caring and careful mindfulness of feeling tones could be one of the keys to well-being. The workshop will deal with the practical aspects of vedana, and will consist of a presentation and Q&A session, followed by different forms of practice and small group sessions focusing on listening and seeing practice. Julie Artman – If the Buddha walked mindfully on stage: actor empowerment and character embodiment. Heather Kempton – A brief survey of the spiritual aesthetic of poetry in secular mindfulness training. Oscar Lecuona – A psychometric review and replication study of the Five Facets of Mindfulness Questionnaire (FFMQ) latent structure. Common Suffering – Addressing the Hearts, Minds, and Bodies of Health Professionals. Cara Geary– Teaching the art of being a Healing Presence to medical students: A 6-month integrated curriculum focusing on mindfulness. Renée Meppelink – Mindfulness versus Medication in Childhood ADHD: An RCT. Are Mindfulness-Based Self-Help Resources Helpful? Pawel Holas– Modification of negative attentional and interpretative biases following MBCT in major depression, an eye-tracking study. Eva Henje Blom– Mindfulness-based treatment of adolescent depression, preliminary results from a MRI connectomics proof of concept study. Hester Trompetter – Self-compassion: A psychological resource to buffer stress and aid emotional resilience in daily life? Barney Dunn – How Does Mindfulness Based Cognitive Therapy Bolster Positive Affect and How is This Related To the Prevention of Depressive Relapse? Kiki Vreeling – Conceptualizing Mindful leadership: a qualitative study among medical specialists. 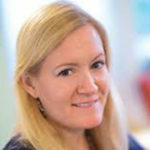 Megan Reitz – How does mindfulness training develop the critical leadership capacities of resilience, collaboration and complexity leadership – and is practice feasible? Elizabeth King– The Wheel of Mindfulness: A Generative Framework for Mindful Leadership DevelopmentThe Wheel of Mindfulness: A Generative Framework for Mindful Leadership Development. Mette Elmose – MYmind-DK. Investigating the feasibility and effect of MYmind in a Danish context. 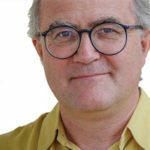 Stephen Batchelor is a writer, translator, teacher and artist. Born in 1953, he was ordained as a Buddhist monk at the age of twenty and spent ten years training in the Tibetan Geluk and Korean Sŏn orders. Since 1986, he has taught at Gaia House meditation centre in Devon, England. In 2015 he co-founded Bodhi College, a European educational project dedicated to the understanding and application of early Buddhism. His most recent publications are “After Buddhism, Rethinking the Dharma for a Secular Age” (2016) and “Secular Buddhism, Imagining the Dharma in an Uncertain World” (2017). He travels worldwide to lecture and lead retreats and lives in south-west France with his wife Martine. Rather than basing itself on the classical Buddhist doctrine of the four noble truths, the approach of Secular Dharma is based on a radical re-reading of these truths as a set of interconnected tasks to be recognized, performed and mastered. This is summed up in the acronym ELSA: Embrace life, Let go of reactivity, See the stopping of reactivity, and Actualise a path. In providing a philosophical and ethical framework for the practice of mindfulness, ELSA moves us away from Buddhism as a set of religious beliefs and allows us to reconsider the dharma as the foundation for a secular culture of awakening. David Dewulf – Mindfulness and self-compassion for teens and kids. Sacha Rombouts – The Action Heroes: A Resource for Teaching Acceptance & Commitment Therapy (ACT) to Children. Aviad Haramati – Impact of a course in mind-body medicine on mindfulness, perceived stress and empathy in medical students. Eduard de Bruin – The contribution of mindfulness-based relaxation exercises to Internet-delivered CBT for insomnia in adolescents: Results from a randomized controlled trial. Graham Meadows – Scaling up delivery of mindfulness-based cognitive therapy – an application of agent-based simulation modelling to inform strategic health services planning. Willem Kuyken, PhD, Professor of Clinical Psychology at the University of Oxford (UK) where he is director of the Oxford Mindfulness Centre. 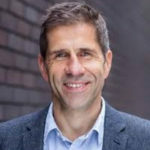 From 1999 to 2014 he worked at the University of Exeter, where he held a number of roles including leading the clinical research group and conducting two randomized controlled trials of MBCT for depression. His ongoing research focuses on depression and evidence based approaches to depression, in particular how MBCT can prevent depression and enhance human potential across the lifespan. Your decision to come to this session, the ideas I will explore, much of what causes suffering in the world, the steps we can take to end suffering – they all originate in the human mind and heart. In this moment the human mind and heart holds the potential for understanding, transformation and liberation. We can create and recreate our lives. We can shape the world around us. This is the extraordinary power we have. This session will explore the confluence of Buddhist psychology and psychological science. We will explore the ways they come together to provide a map of the mind and route maps for mindfulness teachers and students to follow in mindfulness-based programmes. There will be a presentation, practice and time for discussion. Heleen Slagter, PhD, is a cognitive neuroscientist and Associate Professor in the Department of Psychology of the University of Amsterdam (NL), and Principal investigator of the Cognition and Plasticity Laboratory. Her current research interests include (the neural basis of) core cognitive capacities such as attention, and methods that may enhance these capacities, including mindfulness mediation. Neuroscience research within the last few decades has shown that the brain is much more plastic, or able to change in structure and function, than was once thought possible. This has spurred interest in meditation as a method to improve brain and mental functioning. In my talk, I will explore recent neuroscientific research on how different types of meditation may influence how we pay attention and perceive the world around us. In doing so, I will also consider how meditation effects may be understood within the scientific framework of predictive processing. This framework has rapidly gained scientific traction in recent years and shows notable parallels to Buddhist theories in that it proposes that the brain continuously constructs its own reality and that everyday experience is conditioned by top-down expectations derived from past experiences. I will also briefly consider challenges that the field of Contemplative Neuroscience in particular faces, and end by delineating important avenues of further inquiry. 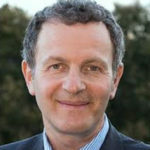 Zindel Segal, PhD, is Distinguished Professor of Psychology in Mood Disorders at the University of Toronto (CA) and a Senior Scientist in the Campbell Family Mental Health Research Institute at the Centre for Addiction and Mental Health. He is one of the founders of MBCT and a substantial part of his research focuses on mindfulness-based intervention programs in psychiatry and mental health. His groundbreaking book “Mindfulness-Based Cognitive Therapy for Depression, A New Approach to Preventing Relapse” (2002) has been updated in a second edition (2012) and continues to be the blueprint for MBCT worldwide. Mindfulness Based Cognitive Therapy is a Frankenstein of sorts – constructed from seemingly disparate elements – such as training in mindfulness meditation and the cognitive theory of affective disorder. And yet, it has amassed a broad appeal and proven effectiveness. Perhaps its hybrid nature provides an advantage in the prevention field, where the aim is less on reducing symptoms than in fostering wellness. This is, however speculative, since the question of how exactly this multi-modal treatment achieves its benefits remains largely unanswered. It is still fair to ask, for example, about the relative contribution of cognitive therapy principles versus mindfulness practice to the gains patients report. Clarifying mechanisms of action is of more than academic interest, as it will likely inform the approach taken to training the next generation of MBCT practitioners. In addition, a focus on mechanisms can only enhance efforts to address the largest obstacle faced by patients interested in this form of care, namely limited access. I will address the questions of mechanisms of action and the contribution of mindfulness practice to prevention outcomes by drawing on analyses of neural, self-report and practice data from a recently completed 2 year longitudinal trial of MBCT and CBT in remitted depressed individuals. Implications for the clinical practice of MBCT from these data will also be featured. 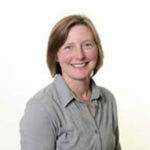 Alison Evans was trained as an occupational therapist and later specialized as an MBCT therapist and trainer. From 2008 to 2017 she has worked at the mood disorders centre at the university of Exeter as a lead therapist in clinical trials of MBCT for depression. She is also co-director of the Mindfulness Network CIC. Alison has a particular interest in Mindfulness-Based Supervision (MBS). She worked closely with Cindy Cooper and Jody Mardula in developing understandings about the nature of MBS and articulating a framework and model for its delivery. Recently, she joined the CMRP team to develop and deliver training in MBS. “What makes mindfulness-based supervision mindful? Mindfulness-based supervision (MBS) is an important part of training and ongoing professional development for teachers of mindfulness-based interventions (MBI). There are ways that it draws upon longstanding models of supervision in other settings, and ways that it is distinctive. The articulation of what it is and how to supervise is at an early stage. In this workshop frameworks and understandings will be offered, alongside case study examples and opportunities for interactive dialogue. The workshop will be aimed at those who teach MBIs or supervise MBI teachers. Leigh Riby – Behavioural and electrophysiological markers of attentional control and emotional regulation in expert meditators. Mindfulness-Based Interventions: What Works Best, For Whom, and Why? 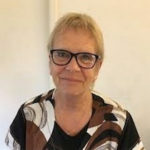 Anne Maj van der Velden – A systematic review of mechanisms of change in mindfulness-based cognitive therapy in the treatment of recurrent major depressive disorder. Ivan Nyklíček– Psychological effects of Mindfulness Based Stress Reduction: The moderating and mediating roles of psychological interest and insight. Mindfulness-based parenting interventions for mothers of infants and toddlers. Rebecca Yeates – Self-compassion, coping and psychological distress in young people with Inflammatory Bowel Disease. Alice Shires – A comparison of the efficacy of mindfulness-based interoceptive exposure and distraction in the management of chronic pain. Sarah Francis – Effectiveness of Mindfulness-integrated cognitive behaviour therapy for reducing symptoms of common mental health conditions: a randomized controlled trial; preliminary findings. Judson Brewer – Neurobiological Underpinnings of Contemplative Practices: Is there Common Ground? Irena Veringa-Skiba – Effects of Mindfulness-Based Childbirth and Parenting (MBCP) in pregnant women with high levels of fear of childbirth and their partners. Melanie Schellekens – The role of mindfulness in grieving over a loved one who died from lung cancer: A qualitative study. Soumaya Ahmadoun – Impact of a mindfulness-based intervention on chemotherapy-induced cognitive dysfunction and brain alterations: A pilot study.